Can an artificial intelligence beat our best? It seems that we have our answer. This article was updated 3/10/16 to reflect new developments in this ongoing contest. Well, it has happened again. AlphaGo, Google DeepMind’s artificial intelligence (AI) program just won its second match against the World’s best Go player. Lee Sedol (9-dan pro) is the top Go player of the past decade. Saying that he is “good” at the game is an understatement of epic proportions. Ultimately, he has spent a lifetime practicing the game—a lifetime becoming the best that humanity has to offer. He recently went head-to-head with Google’s AI for the second time in a $1M 5-game challenge in Seoul. And the artificial intelligence was able to best him. In the end, this victory shows just what intelligence systems are able to do, how effectively they can be trained to anticipate our moves and accomplish tasks. You can watch the match below, and learn more about this system (and previous matches) in the coverage that follows the video. 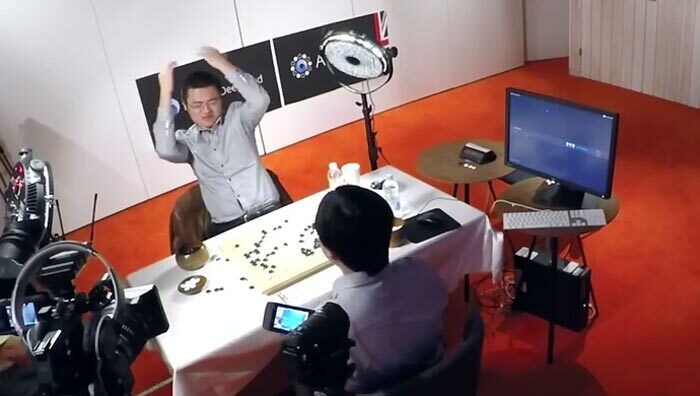 AlphaGo has won the first match against Lee Sedol, the top Go player of the last decade. A virtual crowd gathered to watch the first in a 5-game challenge match streaming live on YouTube. This win means a lot for Google. Baidu, Facebook, and Microsoft all conduct research on deep learning and use it in their own products as well. This achievement proves that Google’s technology is good enough to compete with these other companies. In addition to rising above their competition, the DeepMind team hopes to be able to apply the techniques used by AlphaGo to real-world problems. Hassabis cites climate modeling and medical diagnostics, to name a few. The next matches between AlphaGo and Sedol will run through March 15.